Tinley Park-Park District was honored to receive a land donation from the family of Robert Allen McAllister. Bobby, as his family called him, was born July 16, 1948 and grew up on the family farm in Tinley Park. He was the second of six children born to Ray and Dorothy McAllister. 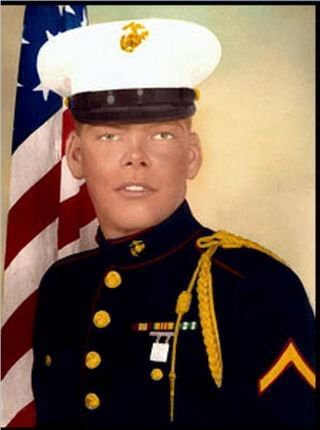 Bobby joined the Marines after graduating from Carl Sandburg High School in 1966. On August 18, 1968, Bobby was killed in action in Viet Nam when his group came under enemy attack. Although mortally wounded as he attempted to reach the battery aid station, he saw two hostile soldiers about to attack a bunker containing several of his fellow Marines. Despite his injuries, Bobby exerted his remaining strength to deliver accurate fire against the enemy soldiers and prevented them from carrying out the attack. His bravery and selflessness saved those Marines from death or serious injury. Bobby was awarded the Silver Star Medal posthumously for his actions that day. He will always remain in the hearts of his family and friends. It is with deep gratitude for the sacrifice Bobby McAllister made for his nation and heartfelt thanks to his family that we gratefully accept this gift.